As NBS’ women’s basketball guy, I felt compelled to say something about the outrageous video recently posted by ex NBA player Gilbert Arenas. As one of my professors said, there IS such a thing as bad publicity, and this video gave my sport it in spades. Featuring two ridiculously scantily clad women playing hoops, the video makes three main points: A) women basketball players are not very good looking B) women’s basketball is not successful, so C) we should either turn the sport into another lingerie league or just quit, I guess. I’ll cover all three points, but I’ll start by saying even if we concede points A and B, C still wouldn’t follow. But some quick disclaimers first. Now to be clear: Serena herself agreed to the photo and many women’s sports fans don’t have a problem with it. And certainly it’s great that a dominant female athlete can look so dazzling at the same time. But in my opinion, we’re sending the wrong message to young female athletes and also setting up unrealistic expectations. 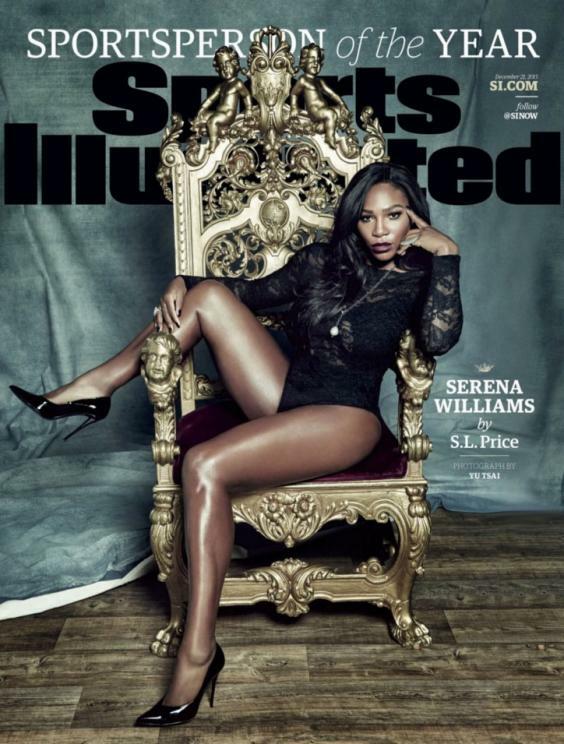 Not every athlete can look as good as Serena, or have the (likely) benefit of Photoshop. And very few can look this good while actually playing a game. If WNBA players were in their underwear adorned in gaudy makeup and jewelry, do we really think they could play as well? So to summarize this point: female athletes aren’t necessarily ugly, and even if they aren’t as pretty as they could be, why should we care? Now it may seem that one would be hard pressed to disagree with Mr. Arenas here. There are only 12 teams in the WNBA, many of which are poorly run, and many NCAA schools have a team because of Title IX, but don’t have a commitment to actually further the interests of the team. The lack of parity in NCAA Women’s basketball is shocking, really. Notre Dame has been to five final fours in a row, and this is only the second longest active streak! But my response to this is that this sport is still relatively young, and no league got worldwide acclaim overnight. Only two of the NFL’s charter teams (the Bears and Cardinals) are still around today. The Packers, Redskins, Giants and Bears took up 23 of the first 24 spots in the NFL championship game. In men’s basketball, John Wooden’s Bruins won nine out of ten titles and seven in a row. We’re not the only sport that lacked parity in the beginning! If one makes the mistake of looking through the snide comments and replies when a major sports account makes a post about women’s sports it’s heartbreaking, yes. But there really is good coverage if one knows where to look. The Player’s Tribune had some excellent articles during this year’s WNBA playoffs. ESPNW’s writers do outstanding coverage of all women’s sports and especially basketball. The popular women’s basketball Twitter feeds such as Hoopsfeed and Swish Appeal do a good job of covering everybody, not just the elite teams. And you know what? Even if we never become as popular as the alphabet soup of men’s sports leagues, do we really want to live life as a popularity contest anyways? Basing happiness on external factors such as popularity, as Buddhism teaches, is not the path to a fulfilling life because we place our well being on circumstances outside our control. If we instead measure our success by our values and how we’re viewed by our (actual) friends and teammates, I think this is a more enlightening path than worrying about the number of likes or followers we have. Now for the sake of argument let’s agree that women’s sports will never be successful and the players really don’t look good at all. So should we just give up? HELL NO! There is so much I like about women’s sports that has nothing to do with their looks or popularity. So many men’s athletes, and I’m sure you can think of your own examples, run into trouble with the law or are caught breaking the rules for competitive gain. The vast majority of the time I see a women’s basketball player in the news it’s for something positive, like Tina Charles giving away half her salary every year or Elena Delle Donne winning another community leadership award. Yes, there are some high-profile cases of female athletes doing bad things. No sport is without their bad apples, but I find it remarkable how less frequently I come across these stories when it comes to women’s sports. There’s so much more to women’s basketball players, or any woman for that matter, than what you see on the surface. Our society may not recognize that today, but some day I hope we all come to understand this basic truth of life. This kind of attitude about women in society needs to be changed by all of us who care, one heart at a time.